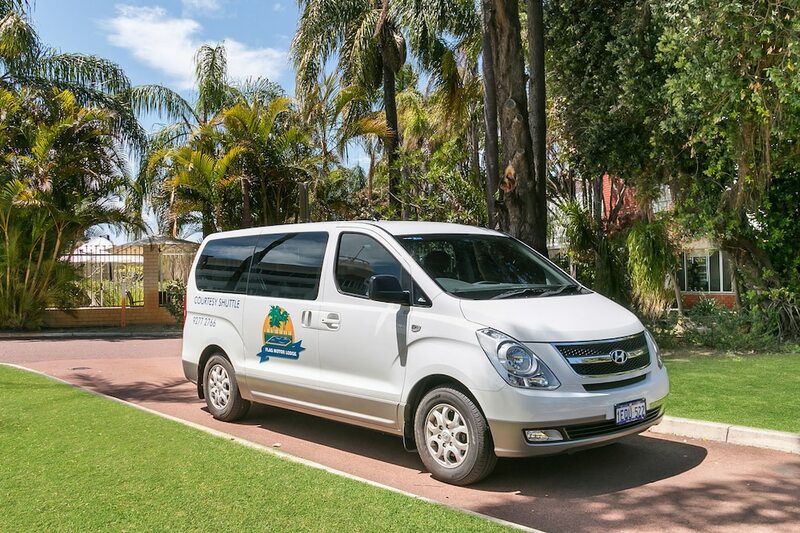 Located in Rivervale, Flag Motor Lodge is in the suburbs, within a 10-minute drive of Ascot Racecourse and Belmont Racecourse. This motel is 3.1 mi (5 km) from WACA. Make yourself at home in one of the 116 air-conditioned rooms featuring refrigerators. Complimentary wireless Internet access is available to keep you connected. Bathrooms have showers and complimentary toiletries. Conveniences include desks and coffee/tea makers, and you can also request cribs/infant beds (complimentary). Satisfy your appetite for lunch or dinner at the motel's restaurant, or stay in and take advantage of the room service (during limited hours). Mingle with other guests at the complimentary reception, held daily. Cooked-to-order breakfasts are available daily from 6:30 AM to 9:30 AM for a fee. Airport shuttle service is available on request from 4:00 AM to midnight. Fees may apply. Contact the property in advance to make arrangements. This property offers an airport shuttle service from 4 AM-Midnight. For more details, please contact the property using the information on the reservation confirmation after booking.